The Hampton Nautical Pocket Compass is truly a great gift to any nautical enthusiast in your life.This timeless navigational piece is solid brass, and can be stored in one's pocket or in the solid rosewood box. Press the push button to reveal the compass. The compass needle is accurate, quick, and responsive. The cap can be closed at any time. 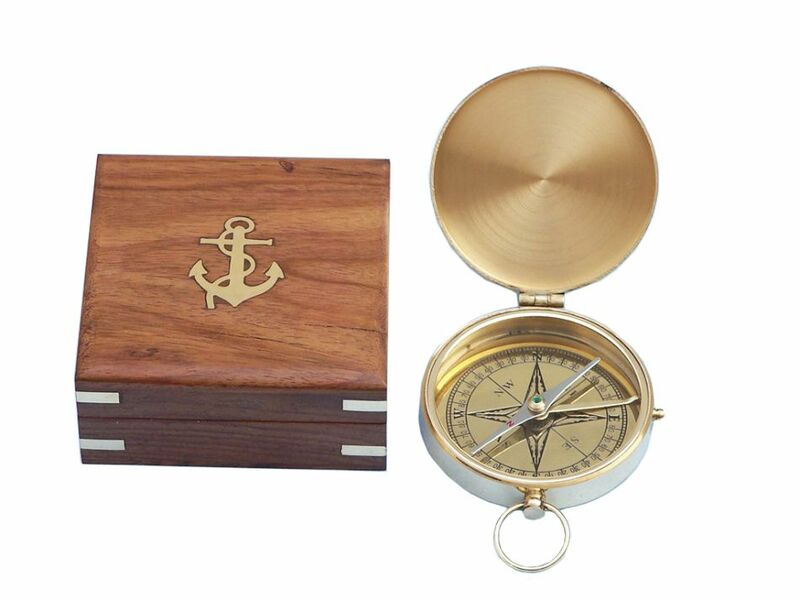 This solid brass compass comes with a rosewood box that has the Hampton Nautical anchor with rope logo embedded into the top. The box is a smooth and polished finish wood with a green felt on the inside to protect the compass. This antique compass for sale makes a wonderful and thoughtful gift to the sailor in your life. 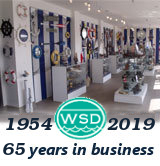 Make sure that anytime your loved one is at sea their mariners compass will always point true and guide them safely home. Each antique compass for sale remains faithful to the classic design, crafted from solid brass with a delicately inscribed compass rose. Speaking volumes to the history of seafaring, and the impact the compass has had on exploration and discovery, this brass pocket compass is a small token of good fortune, a talisman sailors have invested their faith in for centuries. As a symbol of your thoughtfulness and caring, and an important tool that will always point true, this antique compass for sale makes a perfect nautical gift.